Apart from TouchWiz, there are dozens of features that make Samsung Galaxy devices stand out from other Android devices. Among the recent top smartphones from Samsung, the Galaxy Note 7 and Galaxy S7 both sport the ability to take scrolling screenshot. If you absolutely love the ability to take scrolling screenshot but not a fan of Samsung Galaxy devices, there is a workaround. 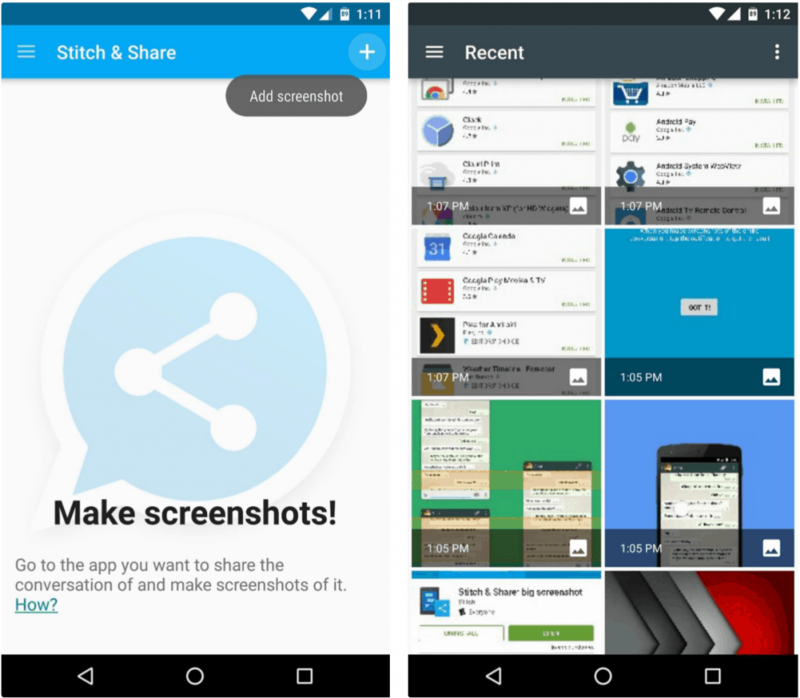 With an intuitive app called Stitch & Share, you can create a scrolling screenshot on any Android device without any fancy tricks. 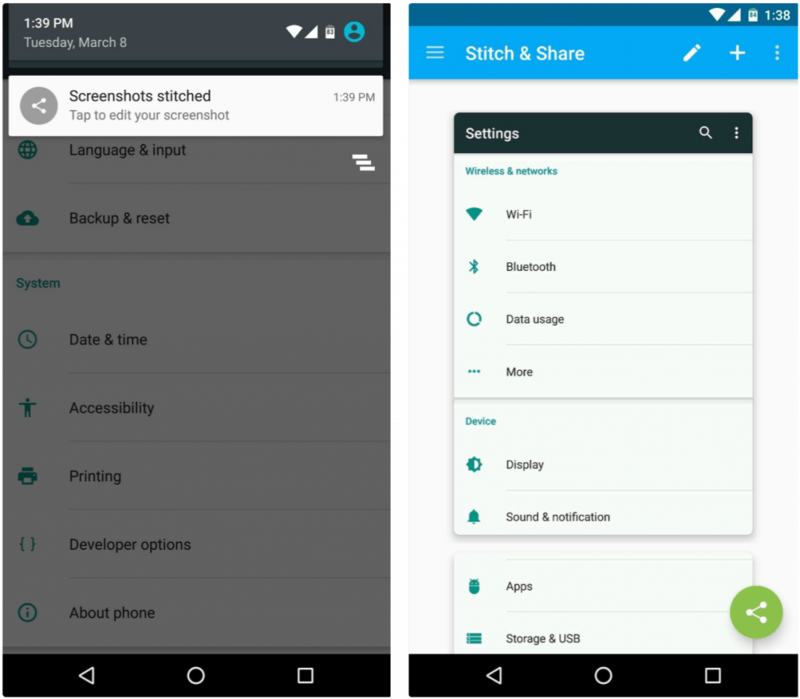 Created by an independent developer, Stitch & Share brings the ability to take a scrolling screenshot on any Android device. To get started, simply search for the app on the Google Play Store or download it using the link given below. The first time your fire up Stitch & Share, the app will greet you with a quick tutorial on how to take scrolling screenshot. 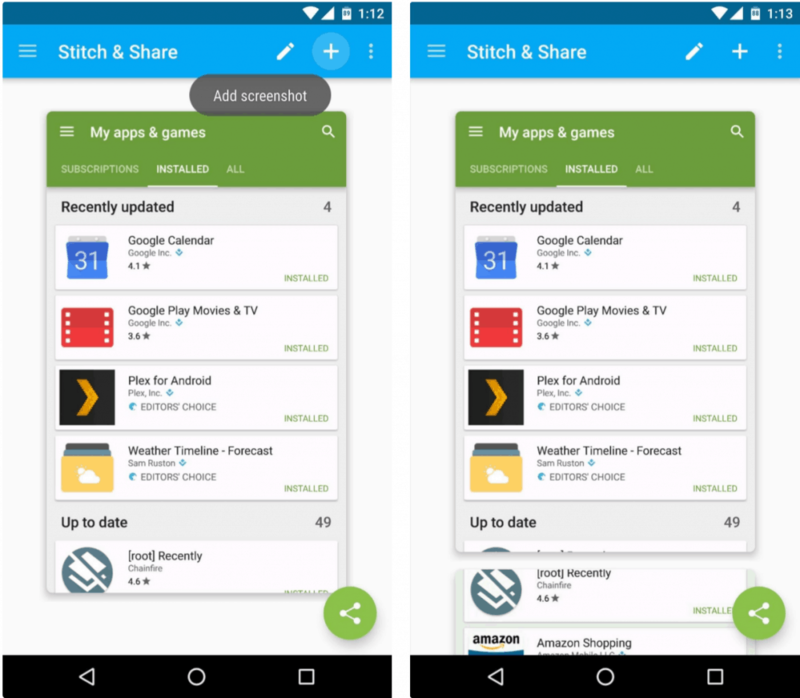 The app works similar to how you take a regular screenshot on your Android, and then “stitches” multiple screenshots to create a long one. As the tutorial suggests, begin by taking a series of overlapping screenshots, where the overlaps are detected by Stitch & Share. The app will then process the screenshots together and give you the “Screenshots stitched”, after which you can top on it to view or edit. 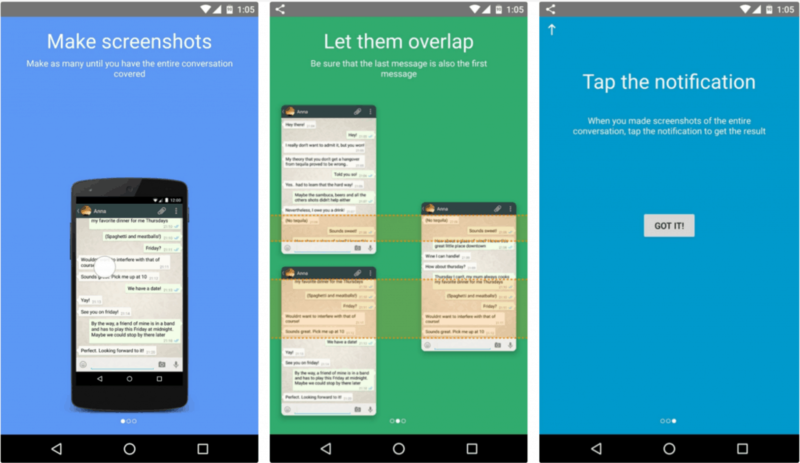 If you can’t get the app to take automatic long screenshots, or need to create one with screenshots you have taken previously, there is a manual way around it. Open the app, press the “+” icon on the top-right corner and select the saved screenshot images from the Gallery. After adding one screenshot to the edit box, tap on the “+” icon again to add another screenshot. You can continue to add more screenshots to the screen until you have enough images to create your long screenshot. You can then go ahead and directly share your scrolling screenshot or save to your device.